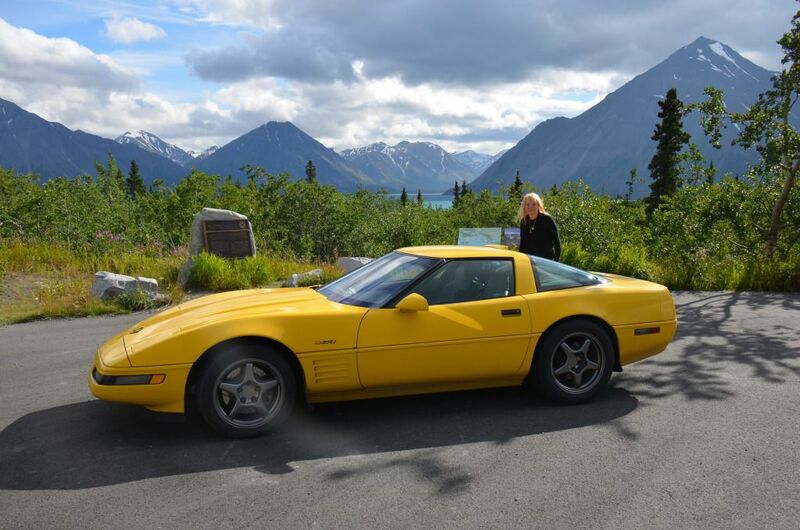 In August, 2012, my wife and I drove from Maryland to Alaska and back in our 1994 Corvette. We spent 30 days on the road and covered 10,000 miles. 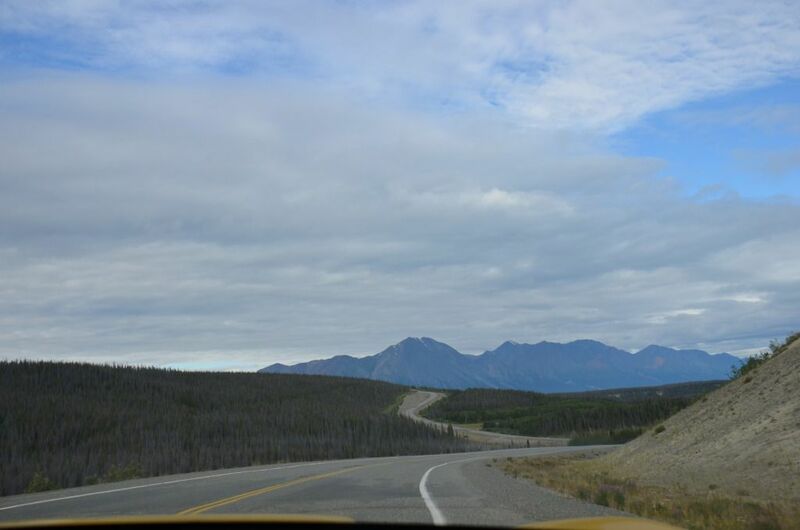 We drove the entire length of the Alaska Highway, from Dawson Creek, BC to Delta Junction, AK (near Fairbanks). All of the roads were in very good driving condition. (except for a few places where road repair was in progress). On many of the roads in Western Canada and Alaska, we would travel for several hours and only see a dozen cars. It was a great road trip! Sounds like fun! Also, nice photos! Did you do the Dalton Highway (AK 11) by any chance? Great photos, I must say, as well! It must be nice to take a month off and do something like that! I still am dreaming of my Western US 2 trip from St. Ignace to Everett, as conditions at present do not look to great for me. Glad you had a good time and what nice scenery you encountered. Thanks for sharing the pictures with us. The Dalton Highway was not possible on this trip. 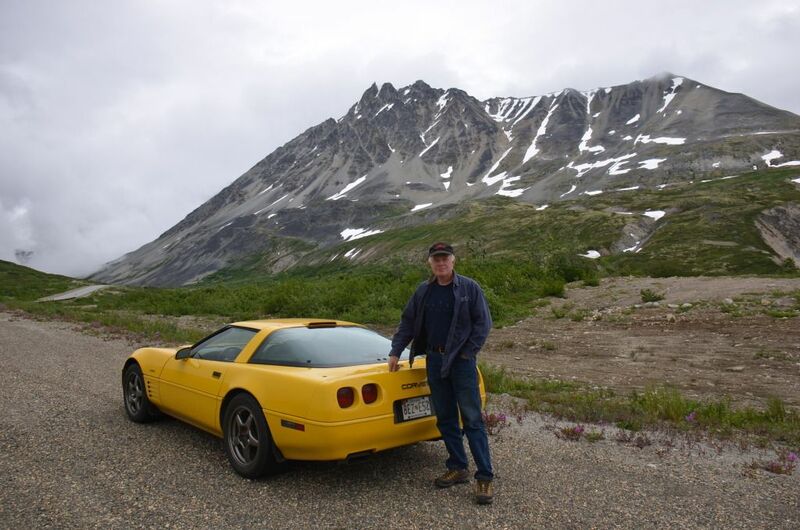 I tried to find a way to drive the Corvette to the Artic Circle, but the road conditions just wouldn't allow it. We also didn't have time to go that far. Even in a thirty-day trip, we had to keep moving to see everything we wanted to see. On "travel days" where we were just getting to our next region, we drove about 650 miles a day. On "sight seeing days", we covered about 300 miles a day. There was only two places where we stayed two nights in the same place, Denali National Park and Anchorage. The Dalton Highway was not possible on this trip. I tried to find a way to drive the Corvette to the Artic Circle, but the road conditions just wouldn't allow it. We also didn't have time to go that far. Even in a thirty-day trip, we had to keep moving to see everything we wanted to see. 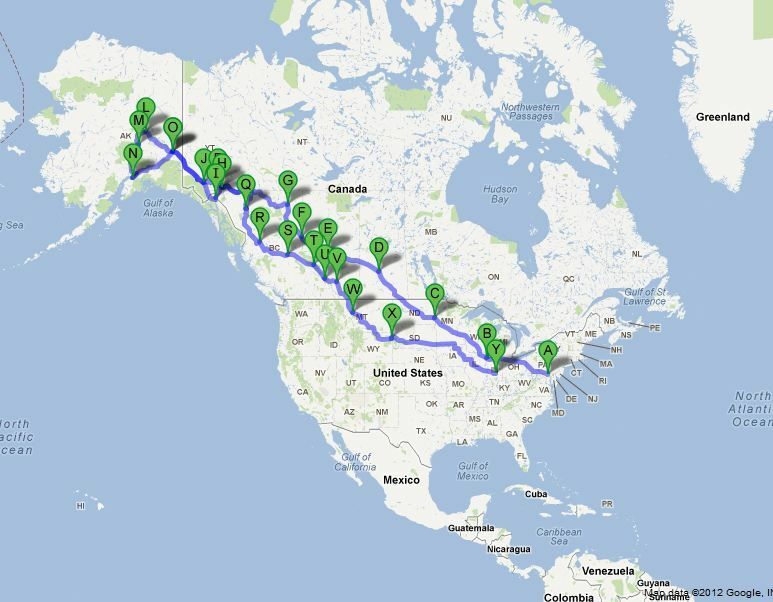 FWIW, I think a regular passenger car could handle the trip to the Arctic Circle (mile 115) and back. However, a low-clearance car with low-profile tires like your Corvette might have problems with the rougher unpaved stretches. Also, two full-size spares are a good idea on that road, and I doubt the Corvette had room for more than one. I saw a classic 1959 Ford Galaxie that made it up at least as far as Coldfoot (mile 175), with no apparent issues. When I was there in 2012, the price was $1.75/liter RUNL, maybe a little higher than you paid. The only other gas I encountered on my trip that was so high-priced was at the Esso in Inuvik NT, at the north end of the Dempster Highway. My memory of Toad River was that we had pushed our route so that we needed to get gas there. 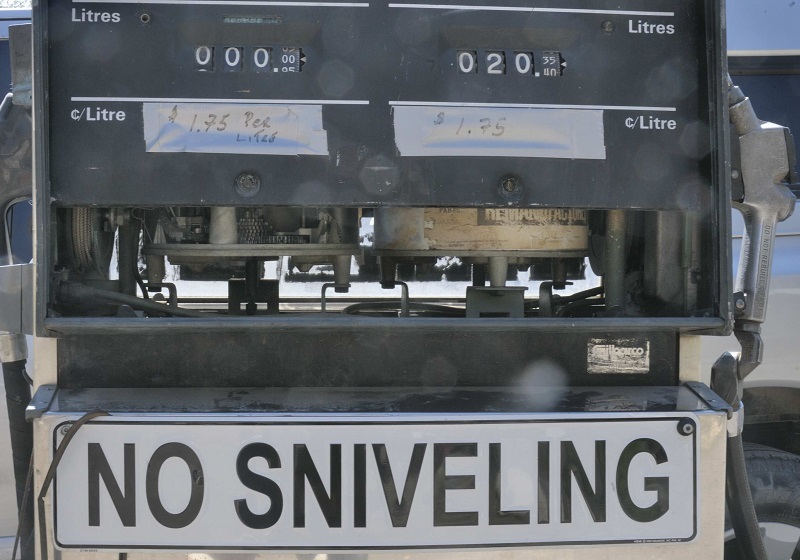 After I filled up, the cashier commented: "It is good that the delivery truck came this morning, we didn't have any gas yesterday."